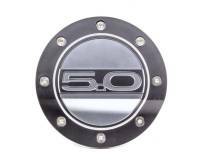 Looking for that special piece to set your late model muscle car apart from the rest? Drake Muscle Cars specializes in dress up kits and trim pieces. Many of these pieces are machined out of billet aluminum to ensure that your piece will look good for years. Check out the Recently Listed Antennas and Components. Check out the Recently Listed Battery Hold-Downs. Pit Stop USA is The Online High Performance Superstore! We feature Emblems at low everyday prices. Check out the Recently Listed Fuel Doors. Check out the Recently Listed Hood Props. Check out the Recently Listed Interior Trim. Check out the Recently Listed Light Assembly Components. Check out the Recently Listed Master Cylinder Reservoir Caps. Pit Stop USA is The Online Motorsports Superstore! We feature Overflow & Expansion Tanks at low everyday prices. 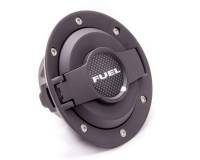 Check out the Recently Listed Power Steering Reservoir Caps. Check out the Recently Listed Radiator Caps. Check out the Recently Listed Shifter Boots and Rings. 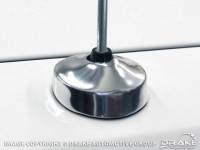 Check out the Recently Listed Shifter Knobs. Check out the Recently Listed Strut Tower Bars and Components. Check out the Recently Listed Window Louvers. Commitment to quality is the #1 priority for Drake Automotive Group and it?s family of companies. Every part we manufacture is painstakingly designed, engineered and tested to ensure the best fit, durability and quality. And every part we resell from other manufacturers, is hand-picked from the top names in the industry, providing you with only the best parts available. A once hopeful start-up business with just one product in our inventory for the Ford Mustang, we?ve grown into an international company with products for a wide range of vehicles. Based in Henderson, Nevada, just outside Las Vegas, our corporate facility spans more than two-acres that includes engineering, manufacturing, sales and warehouse space. Every day more than 10,000 products are shipped to our dealers worldwide, making Drake Automotive Group one of the largest classic Mustang and OEM aftermarket parts manufacturers in the world. While we made our start in the Mustang market, over the years we?ve diversified our product line to include Off-Road and Muscle car products. Our Off-Road aftermarket parts are equal to the high quality, custom design and balanced performance that are found in our classic Mustang line and feature OEM quality products. 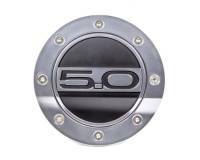 We also manufacture a variety of GM and MOPAR parts including billet items for the new Dodge Challenger. Equally at home in the uncharted wilderness or on the daily commute to the office, Drake Off Road products represent the ultimate in durability, ruggedness and show. Every Drake Off Road part has passed extensive design standards and testing to make sure you have the strongest and best-fitting parts to survive your off road addictions. Drake Off Road currently provides parts for 1996-2015 Jeep Wrangler TJ & JK, Toyota FJ Cruiser, and 1966-77 Ford Bronco. The muscle car wars are back and Drake Muscle Cars is here to help you separate yourself from the pack. At Drake Muscle Cars we are dedicated to providing the finest in aftermarket performance and styling parts. Parts we offer include billet & carbon fiber accessories in addition to suspension, strut tower braces, shifters, and other performance parts.